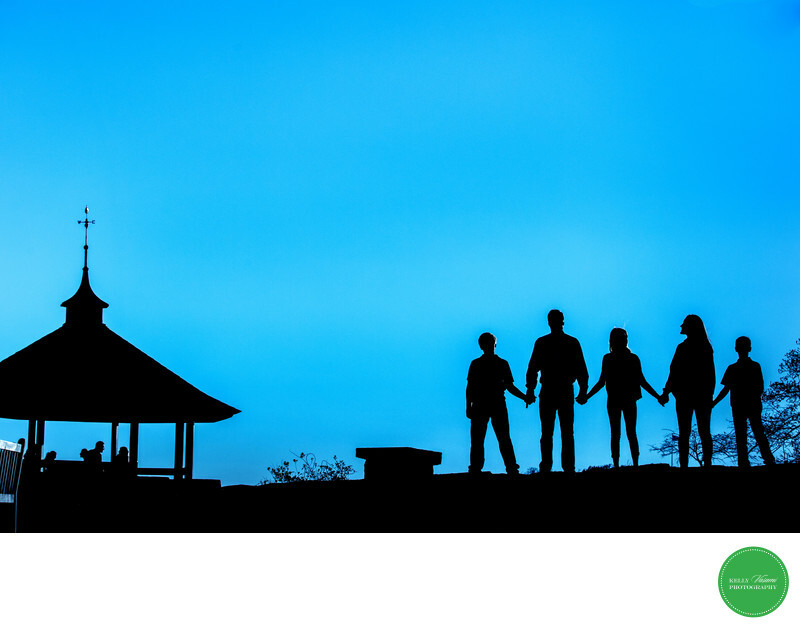 Stunning silhouette of a family with a nearby gazebo. The electric blue sky is a magnificently awesome backdrop. A graphic image that clearly shows each individual family member, this piece of art is a timeless piece. Location: Larchmont Manor, New York.